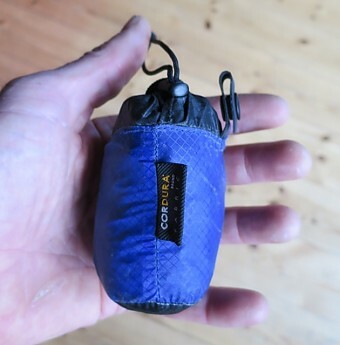 A minimal day pack for short side trips on longer backpacking trips. 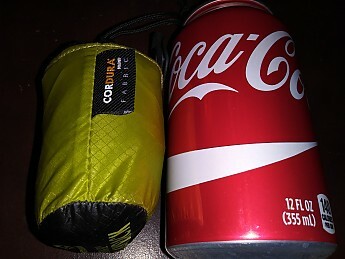 No promises on comfort, and it is not very durable or waterproof, but that's reasonable given the small weight and size. I wouldn't recommend it for all-day hikes but it fills its niche well. 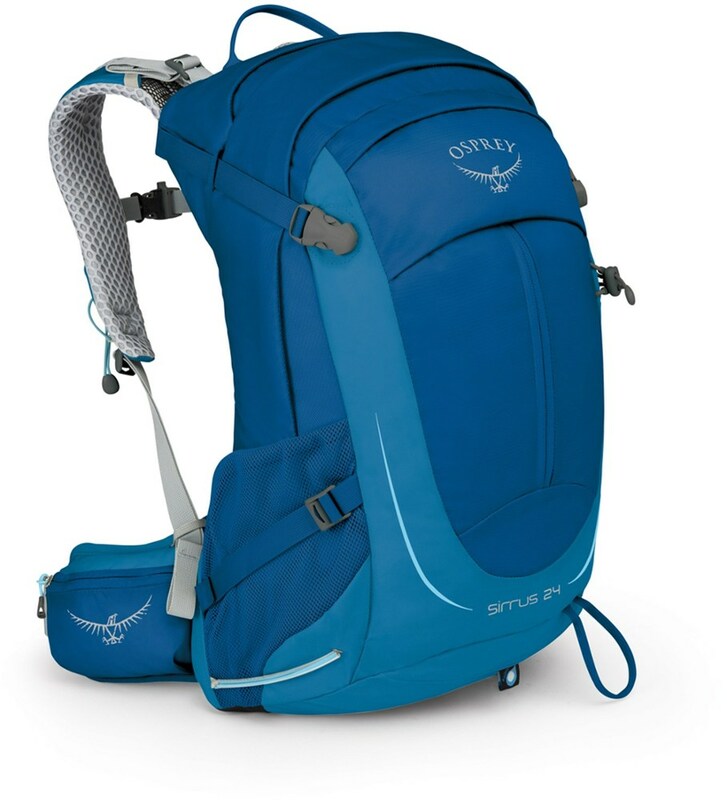 We brought a pair of these along on our JMT through hike, and my daughter and I did several side trips to some of the nearer and easier summits using them. 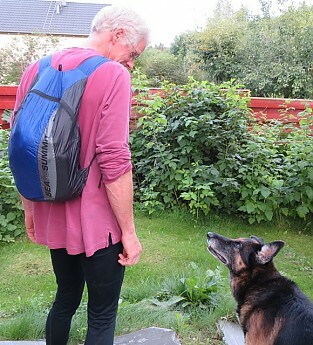 Short side trips when carrying larger pack are all I ever intend to use it for. When packed up I could just about hide it in my fist. On the right in the picture there is a little snap-loop that you could use to hang it off something -- I don't see much use for that so I guess a could cut it off and save a gram or two. The little stuff sack is sewn to the inside of the pack, so you turn it inside out to pack it up. That takes a little work, but I always manage to get it in there. 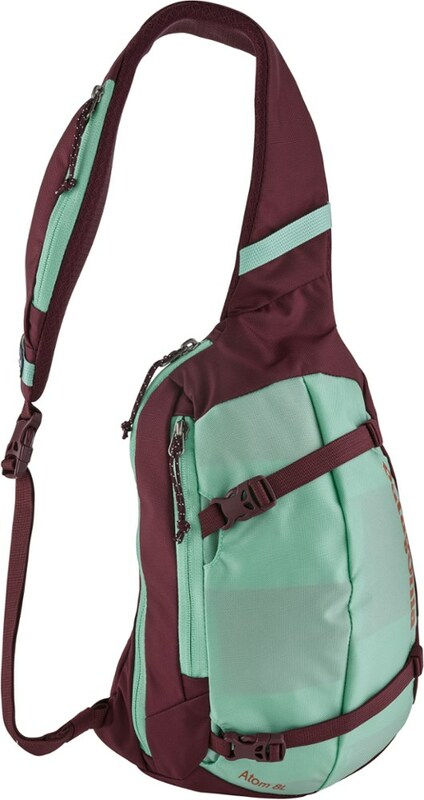 The straps are just silnylon, and there is no waist belt or sternum strap, nor are they needed. I weighed it at 74 grams or a bit over 2.5 oz., close enough to S2S's given weight of 2.4 oz. The given volume of 20 liters sounds about right. I can fit a down sweater, rain jacket and pants, hat and gloves, sunglasses, headlamp, 1/2 l water bottle, and a couple bagels in there no problem, with room for a mini first aid kit, compass, and map. That all weighed in at about about 2.5 kilos (5.5 lbs). I wouldn't want to put too much more in there either weight or volume wise, but that's enough for quick side trips. 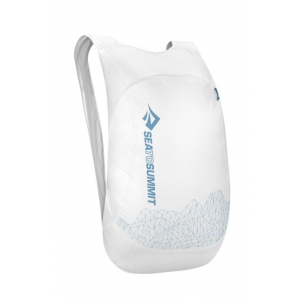 There are no pockets or compartments, so you want to be sure to put the soft stuff close to your back and try to mold it all into a comfortable shape. 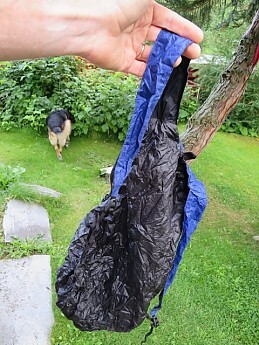 The fabric is not at all waterproof, so I would want to line it with a plastic bag or waterproof stuff sack if I anticipated rain (but then I probably wouldn't be going for any summits). After a half-dozen side trips on rough Sierra granite, including a little up- and down-scrambling, I noticed a few sub-5mm holes in the bottom. A few more trips like that and it will need some repair tape, but I think I can keep it going for a few more years. $33 seems a bit steep for the US market; I would say $20-25 would be more reasonable. I got it at Norwegian retailer for about 200 kroner (=about $33!) which is a bargain over here. 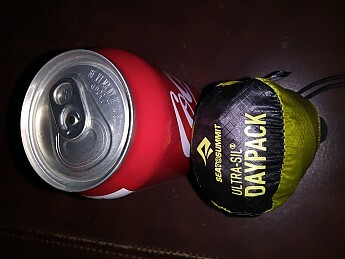 You know what would be great is if STS combined their ultra-sil pack liner with this, so you could have a waterproof pack liner that also doubles as a day pack...are you listening STS? Thanks for the review! Amazing product. Unbelievably light and compact. An amazing product. 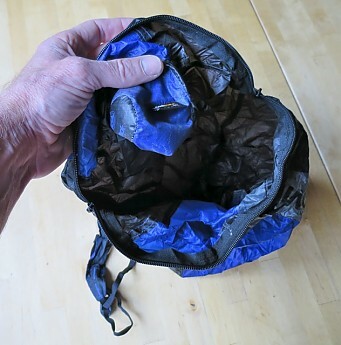 Always carry one in my Osprey Aether 70's top lid pocket. Surprisingly sturdy for 2.4 ounces. Sized at 20 liters. I backpack in Harriman State Park, and in the warmer months, the creeks and brooks dry up. 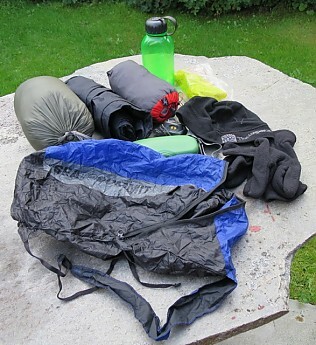 No problem, I set up camp, leave the large pack behind, and go for water with the Ultra Sil. 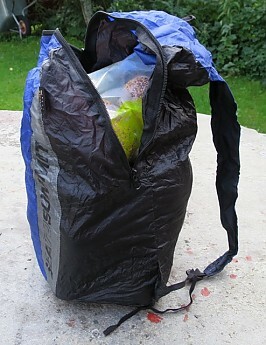 It easily carries 5 liter water bottles (2 CamelBak Chute and 3 Platypus soft bottles), as well as my filter and a jacket. 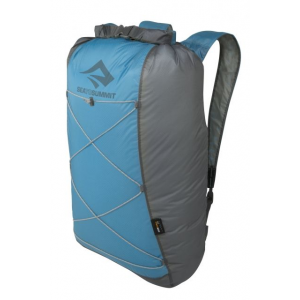 Saw that REI Garage had the 2015? 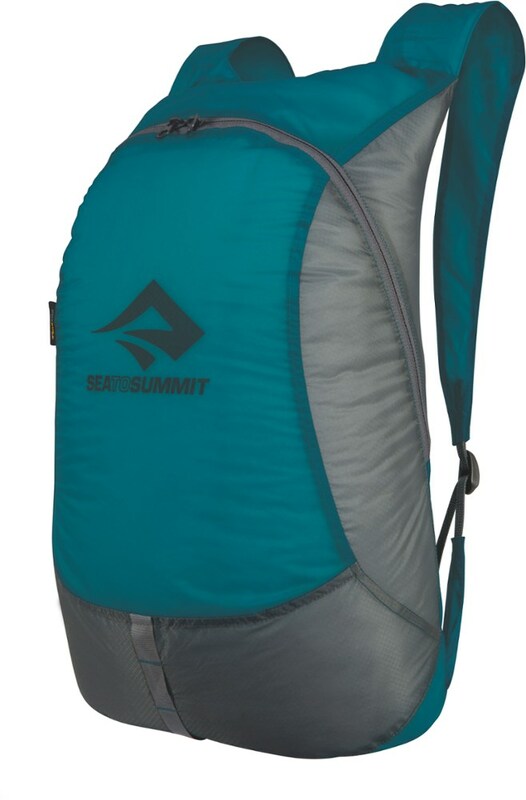 model, and picked it up for less than $20 to stow in my summer pack. It stays in my packs full time with a first aid kit, repair kit (tent pole sleeve, extra buckles, etc), paracord, and a Sea to Summit clothesline. 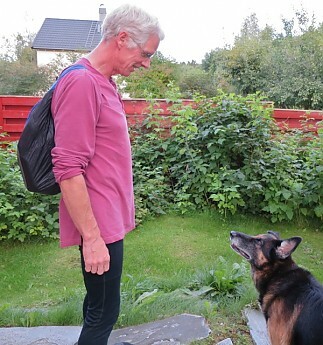 Cannot see leaving to backpack without one. Highly recommend. Thanks for the review, Jerry! 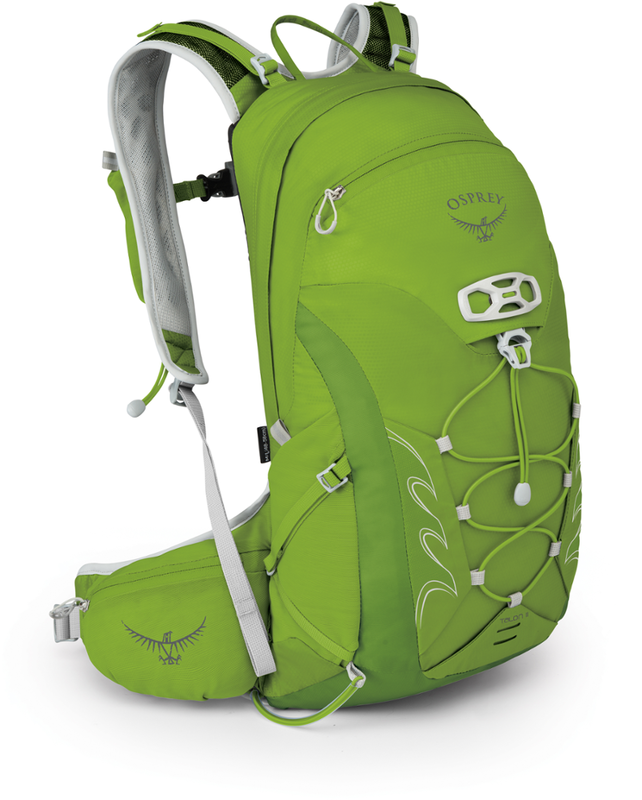 How much weight do you usually carry in this?